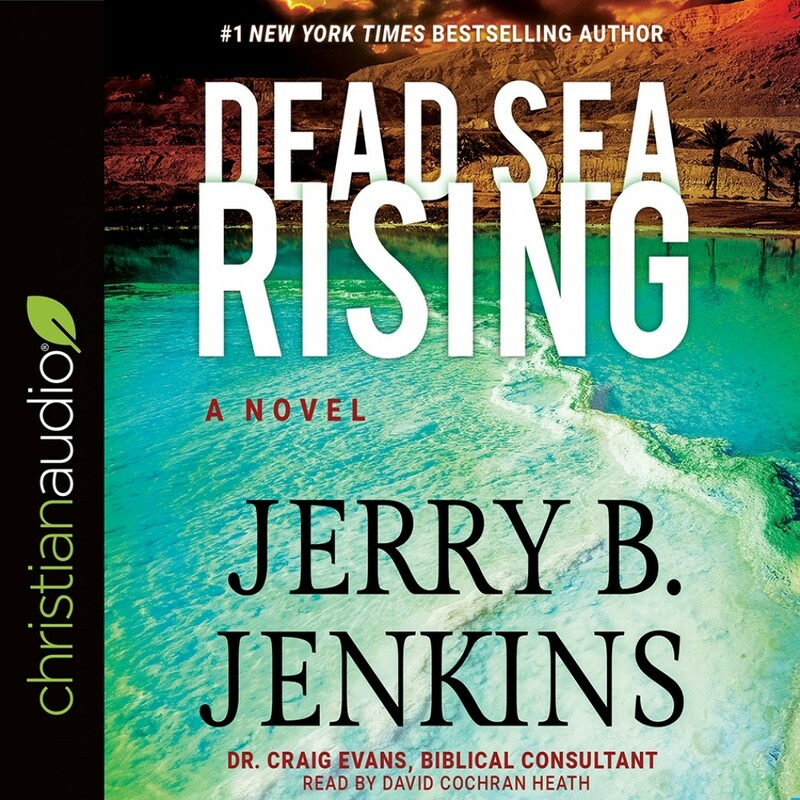 Dead Sea Rising | Jerry B. Jenkins | Audiobook Download - Christian audiobooks. Try us free. The newest thrilling tale of intrigue from best-selling author Jerry B. Jenkins combines adventure, spiritual warfare, and biblical archeology with Da Vinci Code-like flair. Nicole Berman is determined to find there the first concrete evidence of the biblical patriarch Abraham while leading her first archeological dig in Jordan. During the excavation, Berman discovers a 4,000-year-old complex that includes evidence she believes proves her theory. But a devastating cave-in nearly kills her and she awakens in a Saudi clinic, haunted by visions of what she may have seen -- evidence of Abraham and his two sons, the half-brothers Isaac and Ishmael. One discovery leads to another and Nicole sets off across the region to connect pieces of an ancient puzzle. She is secretly opposed by a striking Palestinian, Abed Hassan, whom she falls in love with, unaware of his ties to a clandestine organization, as the head of the World Islamic Network (WIN). Nicole is on the brink of revealing new truths that could revolutionize the relationship between Jews and Arab Muslims. Meanwhile, a new volunteer on her dig team, Max Nguyen from Vietnam, discloses alarming revelations that affect everything Nicole thought she knew about herself and her family. While she doggedly pursues pieces to the Abrahamic puzzle -- which she believes holds explosive implications for the 21st century -- her own history may be coming apart at the seams.